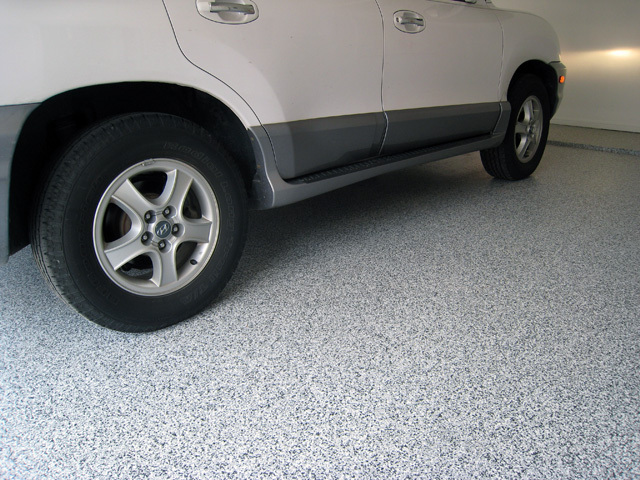 SunEpoxy 54 is a low, VOC chemical resistant, and resinous flooring system that is used in a wide variety of applications such as light manufacturing plants, residential garages, auto repair shops, warehouses and more. 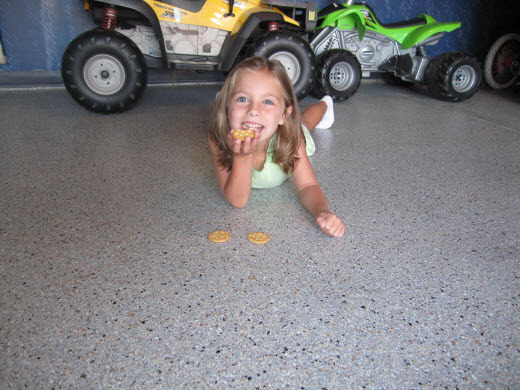 The seamless and smooth epoxy finish allows for easy clean up and is very resistant to spills and stains. SunEpoxy is an entry level epoxy, yet provides excellent durability for foot and vehicular traffic as well as chemical spills and abrasion. Chemical resistant to a wide range of materials like oils, fats and even red wine! Where to use it: Depending on the use, SunEpoxy is versatile, and can be installed in wet areas like showers, or food areas to gain an aggressively slip resistant surface. For hallways, laboratories or high traffic areas, a texture like an orange peel effect can be accomplished. SunFlek, quartz beads or SunChips, solid or multi-colored vinyl acrylic paint chips are commonly added to SunEpoxy to enhance the texture as well as the look and aesthetics of these dynamic and functional concrete coating solutions. 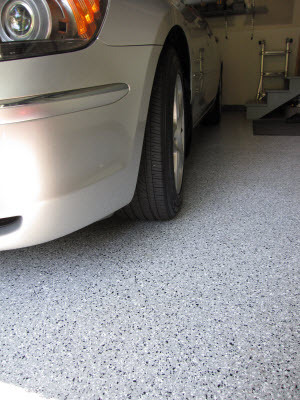 Great for auto repair facilities or garage floors. How it’s done: SunEpoxy is commonly applied using a brush or roller. 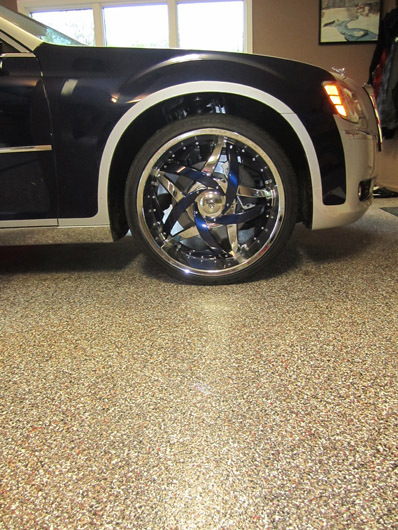 Once the first bond coat is applied, an optional seeding of chips or quartz beads can be added to provide a slip resistant as well as decorative seamless floor solution. A second top-coat is then applied to encase the effects.